Clara Beata Anderson was born near Ventura, IA, daughter of Lars and Lena (Pedersdatter Benerud) Anderson, and was baptized and confirmed in the Ellington Prairie Lutheran Church. She attended Concord School and was employed as a dressmaker at Ventura. 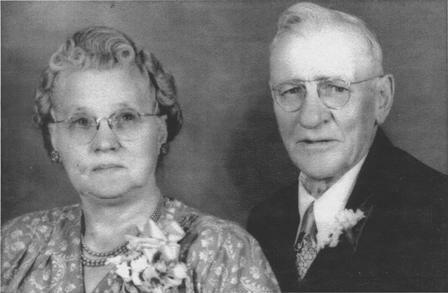 In 1898 she married Sever Severson (1874-1951) and they farmed in the Ventura area. Clara and Sever had two sons: Glen (1901-1955); and Kenneth (1904-1944). They were married 51 years.